We keep on adding so many awesome items to our online store. 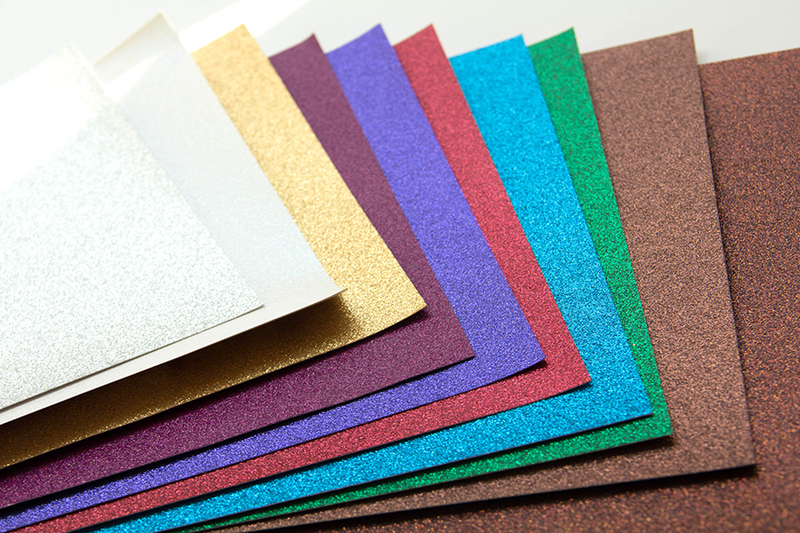 We now have Glitter Cardstock in all shades of the rainbow and more! 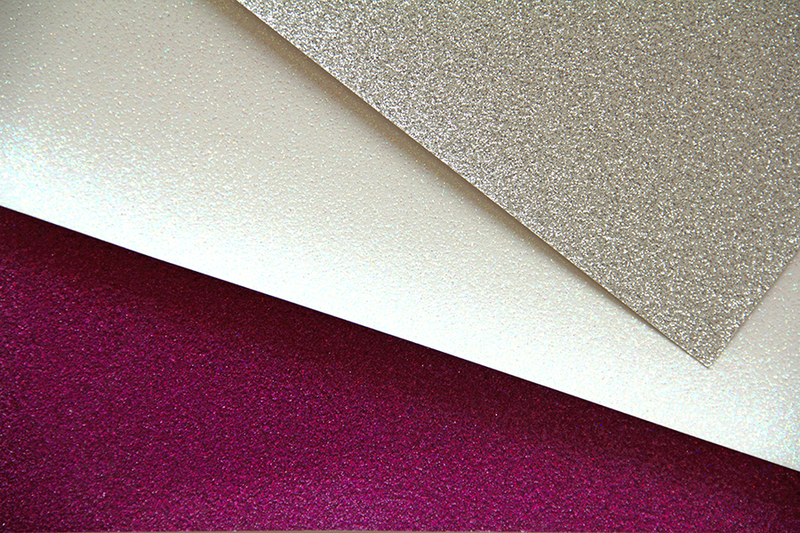 Our Glitter Cardstock is 12×12, and is acid & lignin free. 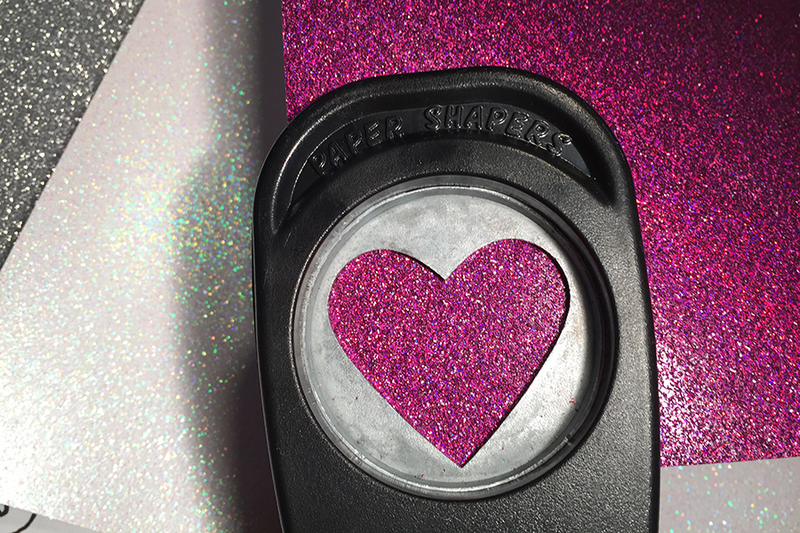 Want the look of glitter without the mess? 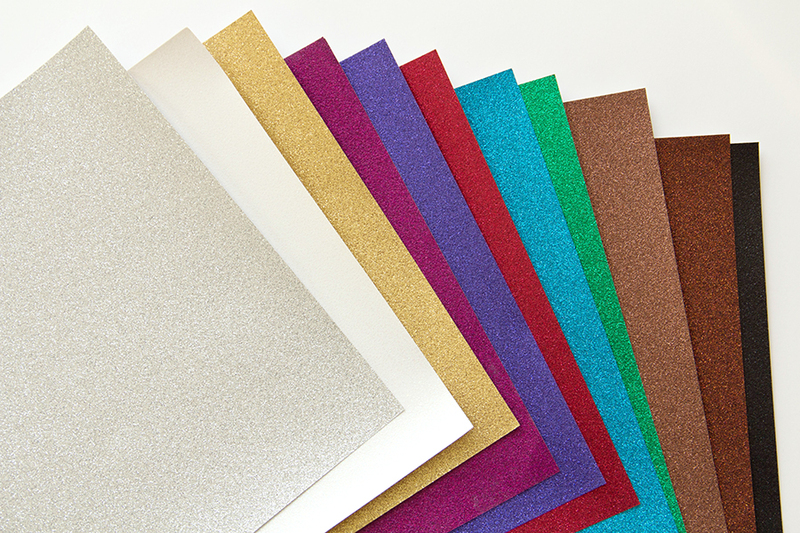 The gorgeous glitter on our cardstock does not fall off, so no mess! Sold in a pack of 15 sheets. 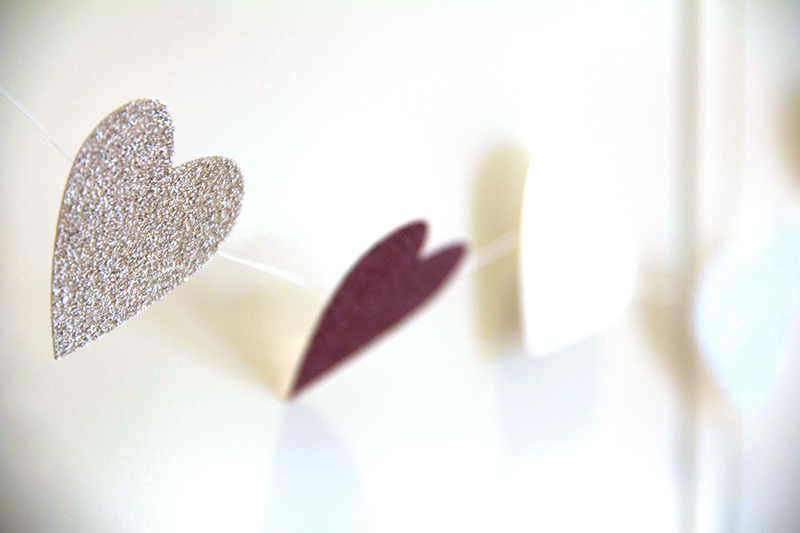 We made a simple Valentine Heart Garland using these three colors of our new 12 x 12 Glitter Cardstock. 1. 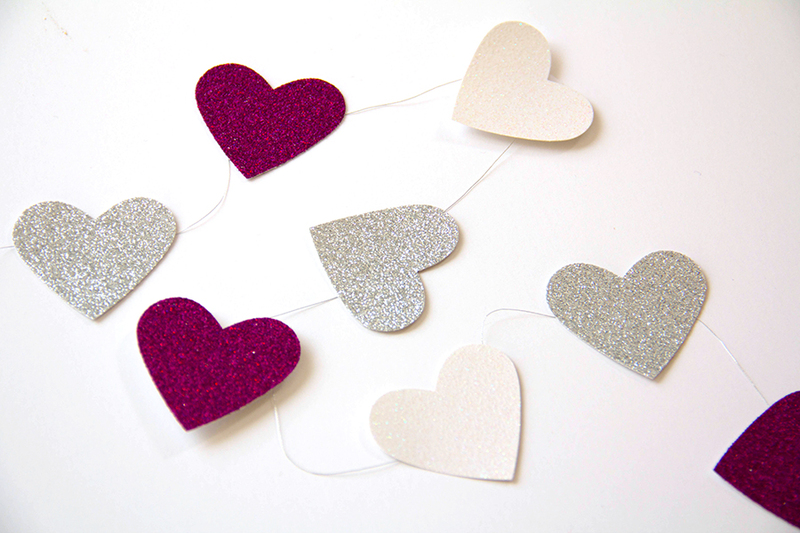 Punch out heart shapes from various colors of Glitter Cardstock. Punch a front and back for every heart. 2. 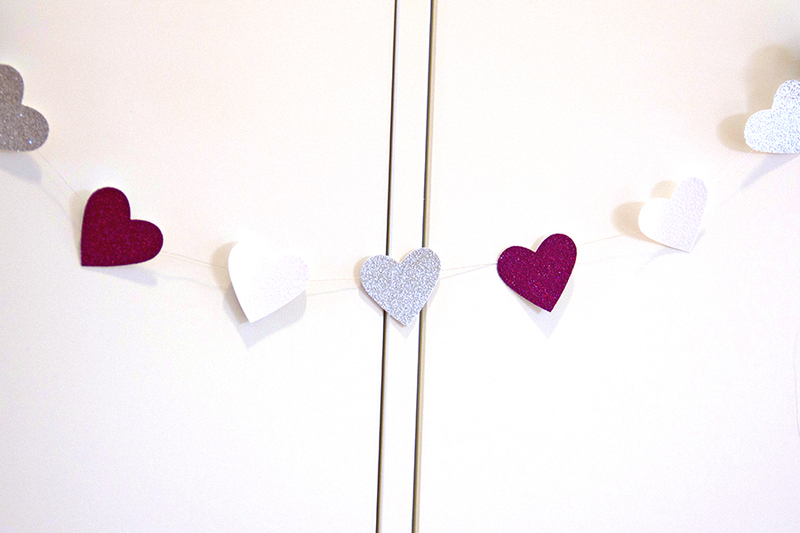 Adhere heart fronts, in a repeating pattern, onto a string with tape or glue. 3. 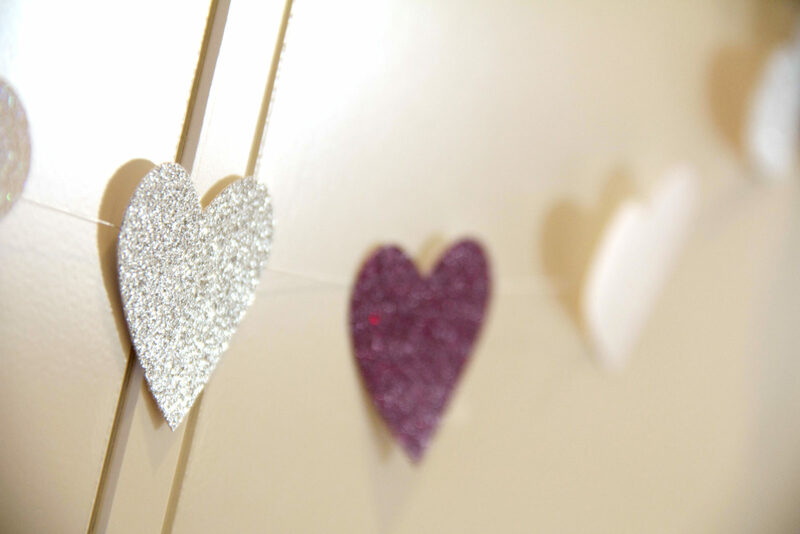 Line up and adhere all heart backs. 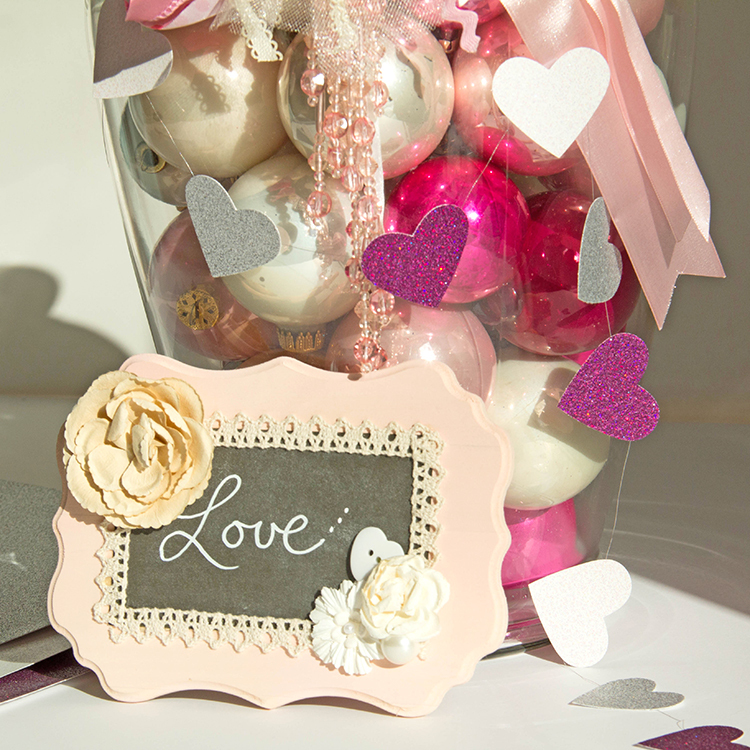 This entry was posted in DIY Projects, New Seasonal & Special Occasions and tagged diy, garland, glitter, Glitter card stock, Glitter Paper, Valentine. Leave a message – Say it in Chalk!